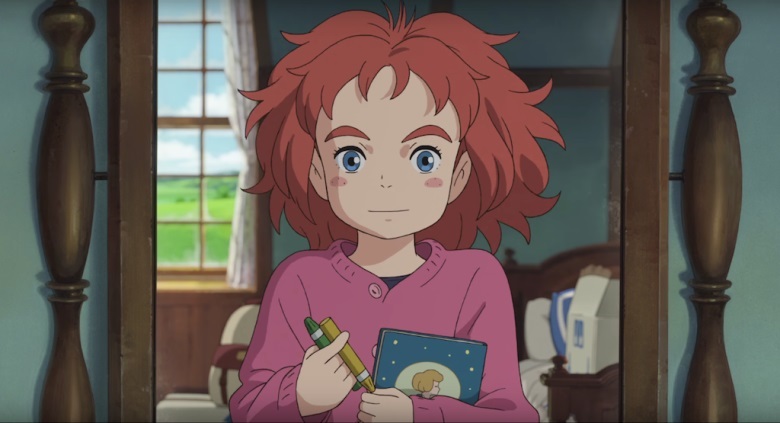 Relatively unknown UK-Based film company Altitude Film have recently announced that they have acquired the worldwide rights to the anime film Mary and the Witch’s Flower by Studio Ponic; with the film to be released within the UK by them later this year with Australian distribution being handled by Madman Entertainment. Animated by Studio Ponoc, and directed by Hiromasa Yonebayashi, the film is based on the Mary Stewart’s book The Little Broomstick which sees a young girl named Mary discover a unique broomstick after following a black cat and from then her view of the world is changed drastically. Mary and the Witch’s Flower is Studio Ponoc’s debut animated feature and this particular studio was formed by former Studio Ghibli producer Yoshiaki Nishimura which explains the similar animation style used in the film. In any event it’s great to see more anime getting the UK (and western treatment) so it will be interesting to see where Studio Ponoc, and in turn Altitude Films, move forward from this. Of course for now we wait for further details; but in the meantime you can check out the Teaser trailer for the film below.